Product prices and availability are accurate as of 2019-04-18 11:28:01 BST and are subject to change. Any price and availability information displayed on http://www.amazon.co.uk/ at the time of purchase will apply to the purchase of this product. 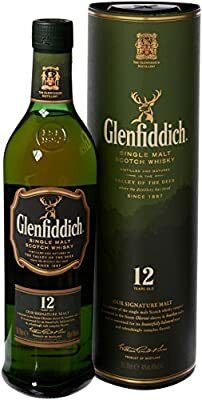 The pioneer of the prestigious single malt Scotch whisky category, Glenfiddich 12 Year Old is today enjoyed by more people around the world than any other single malt whisky.Their original, signature single malt Scotch whisky has matured for at least 12 years in American and European oak casks. The quality of these casks is exceptional as all are individually tended by their experienced team of coopers, ensuring their whisky develops complex, elegantly rounded flavours with notes of fresh pear and subtle oak. Distinctively fresh and fruityaromas with a hint of pear. Beautifully crafted and delicately balanced. 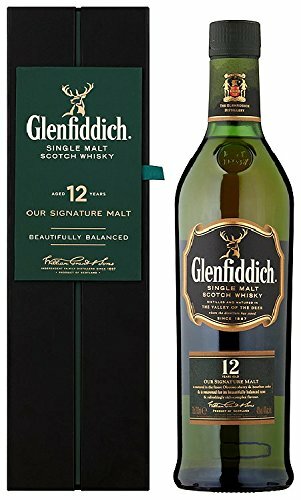 Characteristic sweet, fruity notes on the palate. Develops into butterscotch, cream, malt and subtle oak flavours. 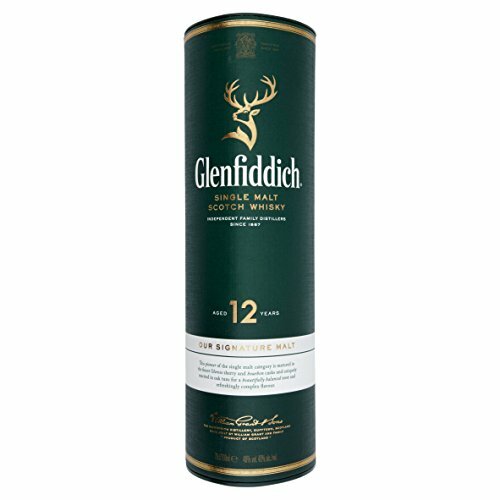 Carefully matured in the finest American bourbon and Spanish sherry oak casks for at least 12 years.